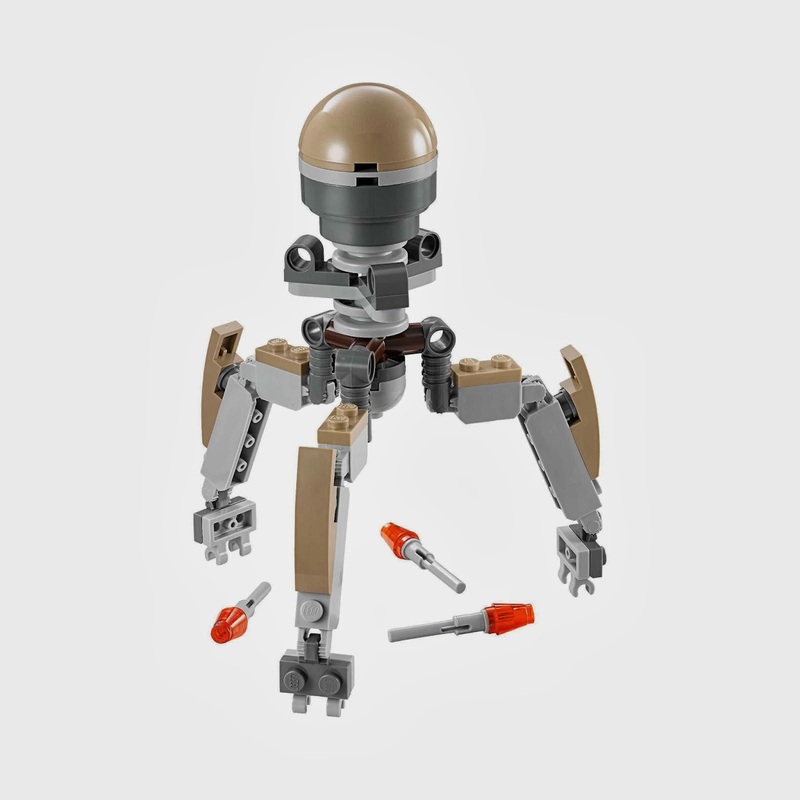 come with a tri droid. 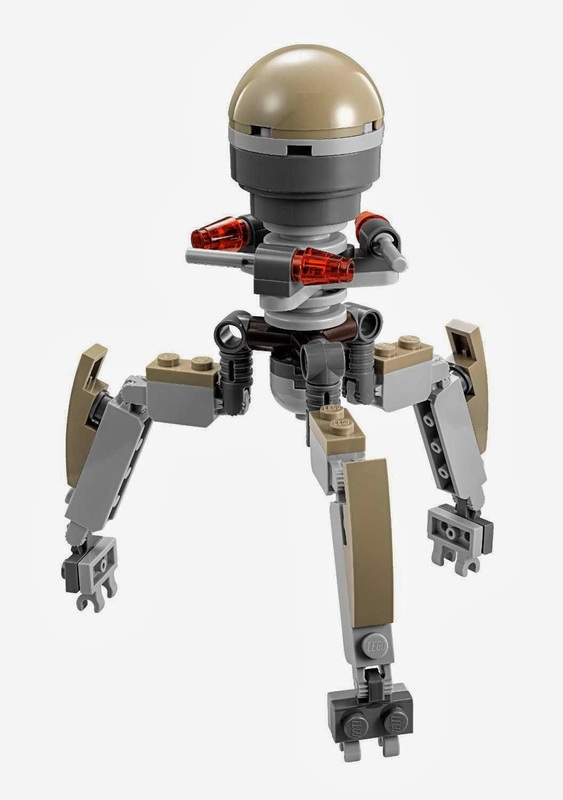 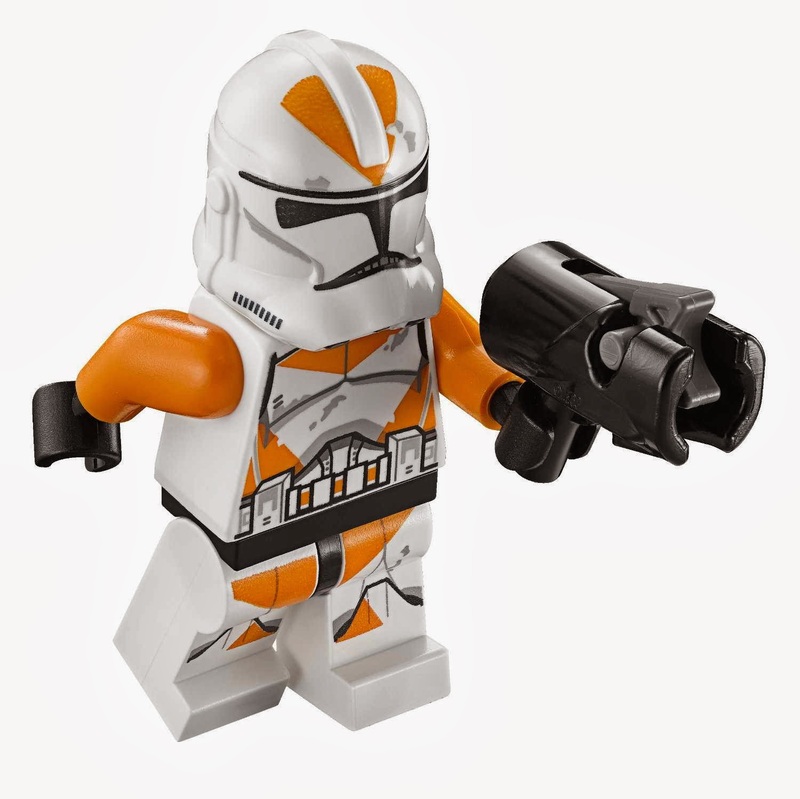 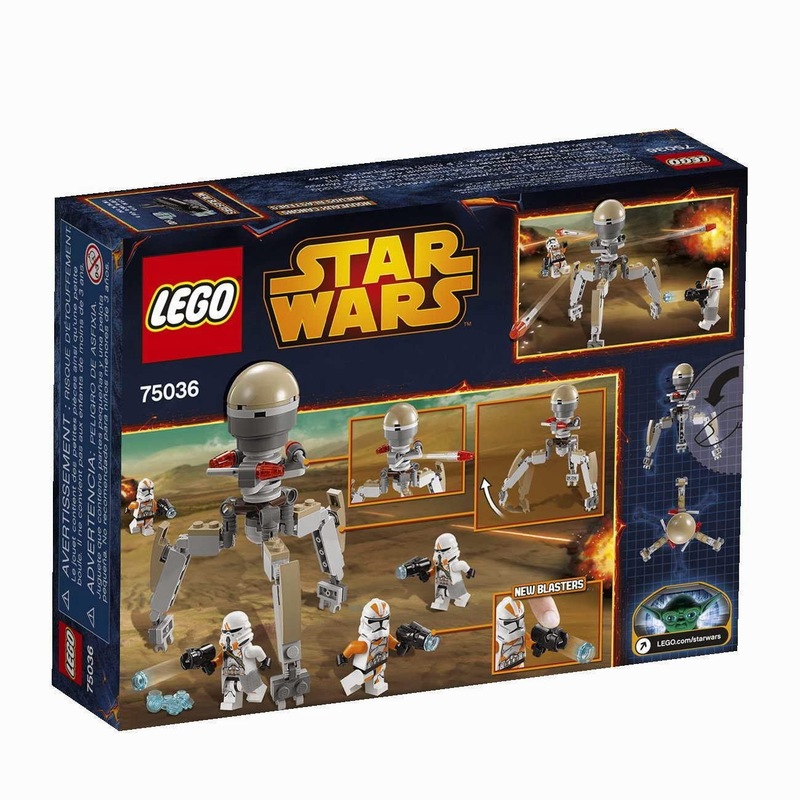 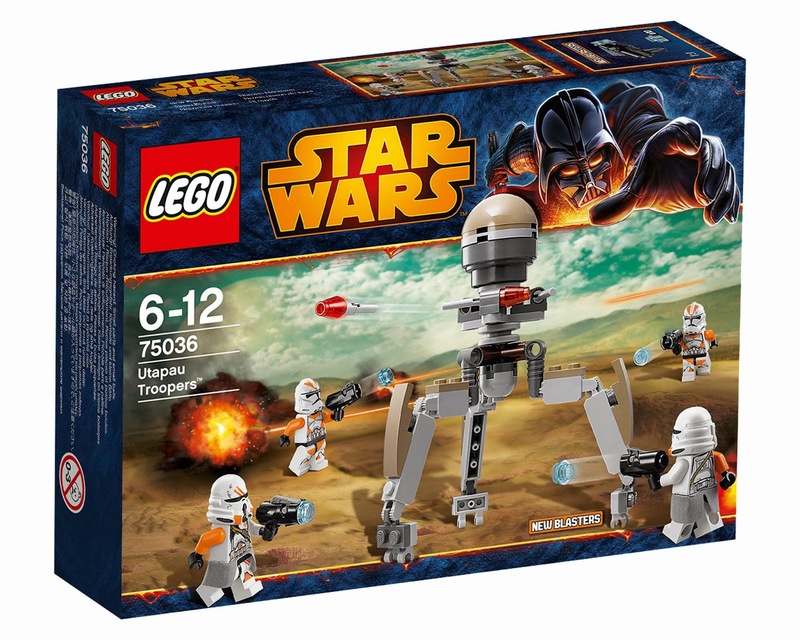 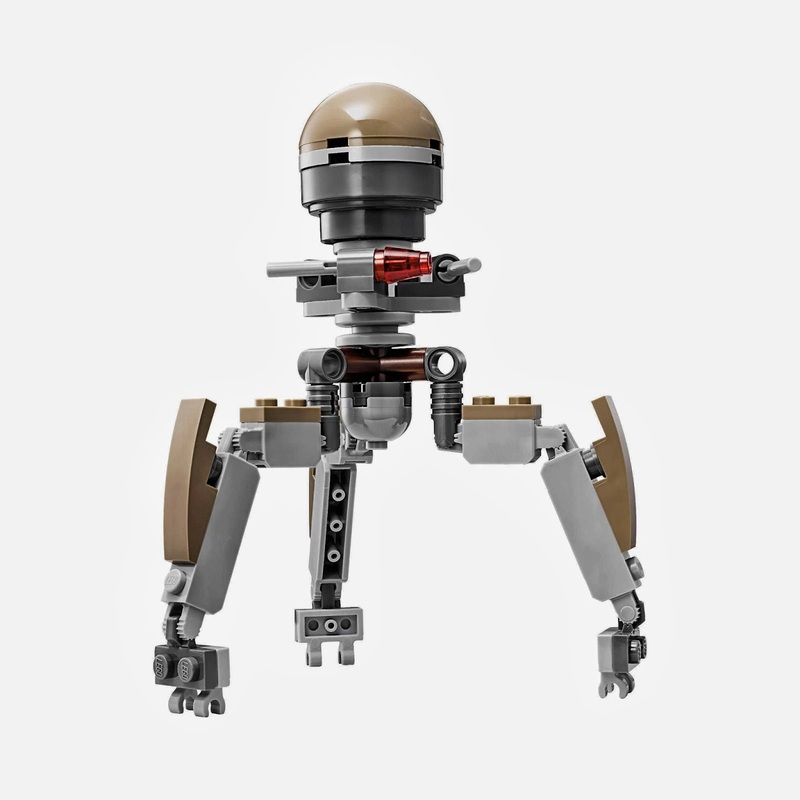 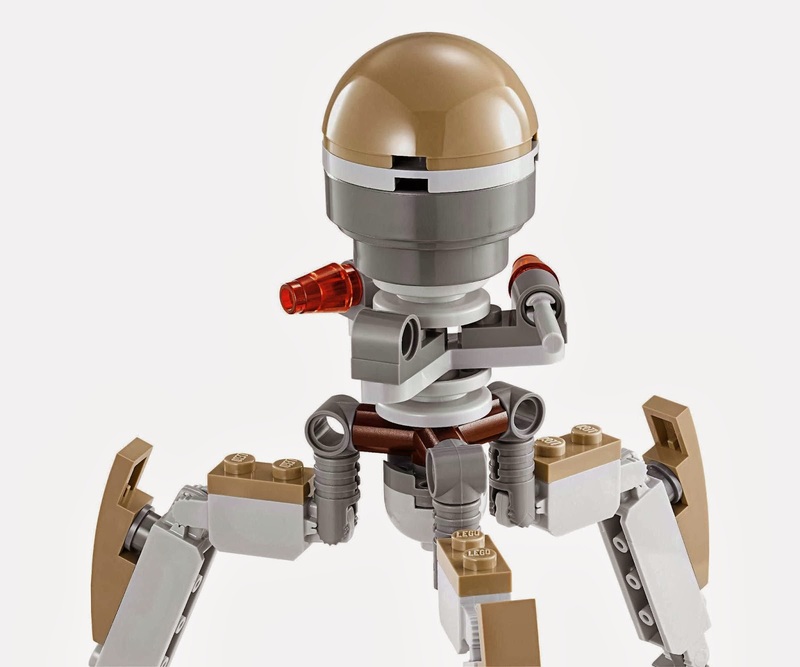 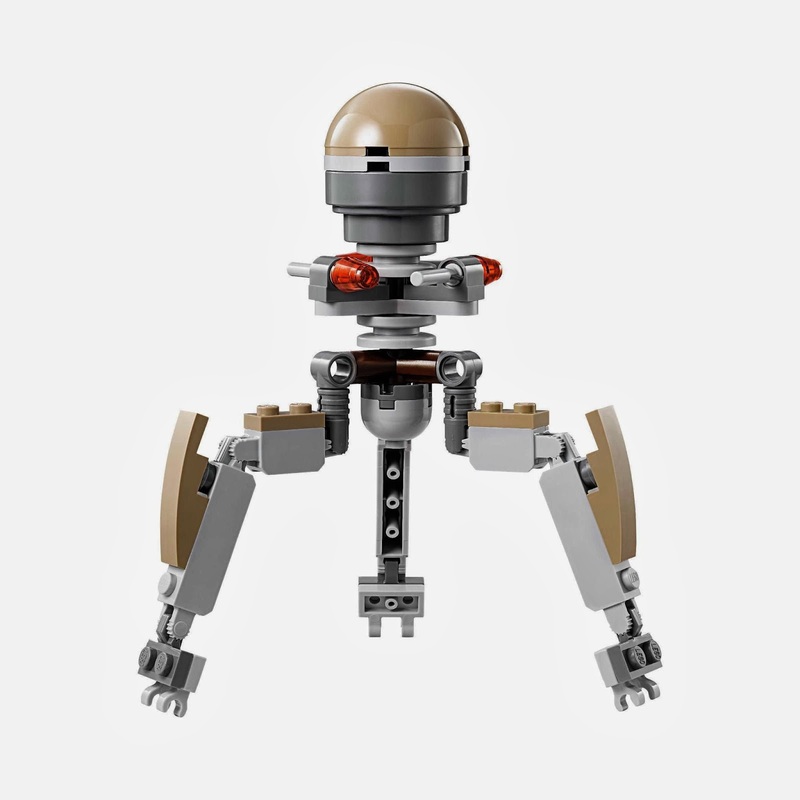 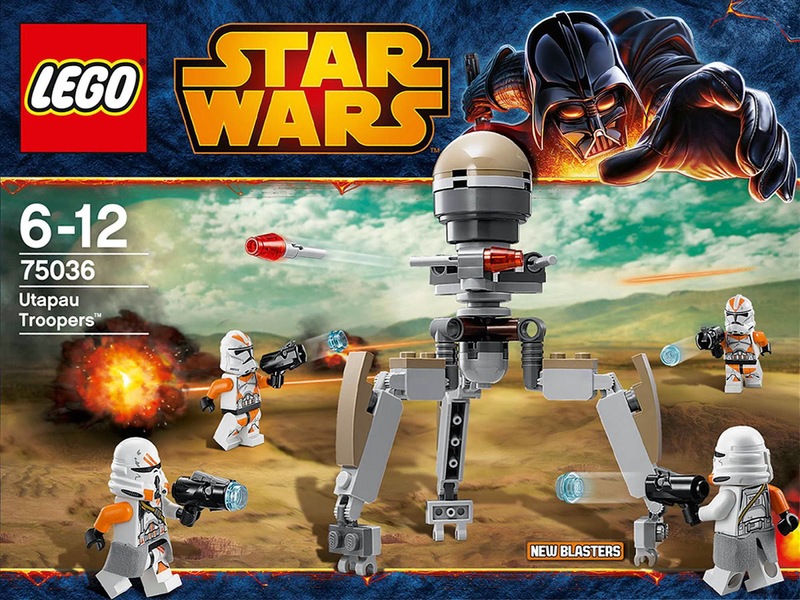 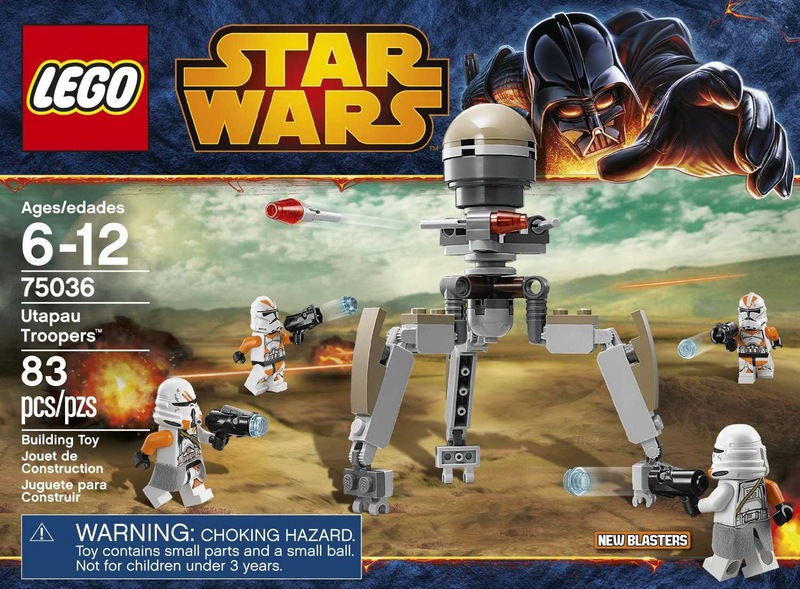 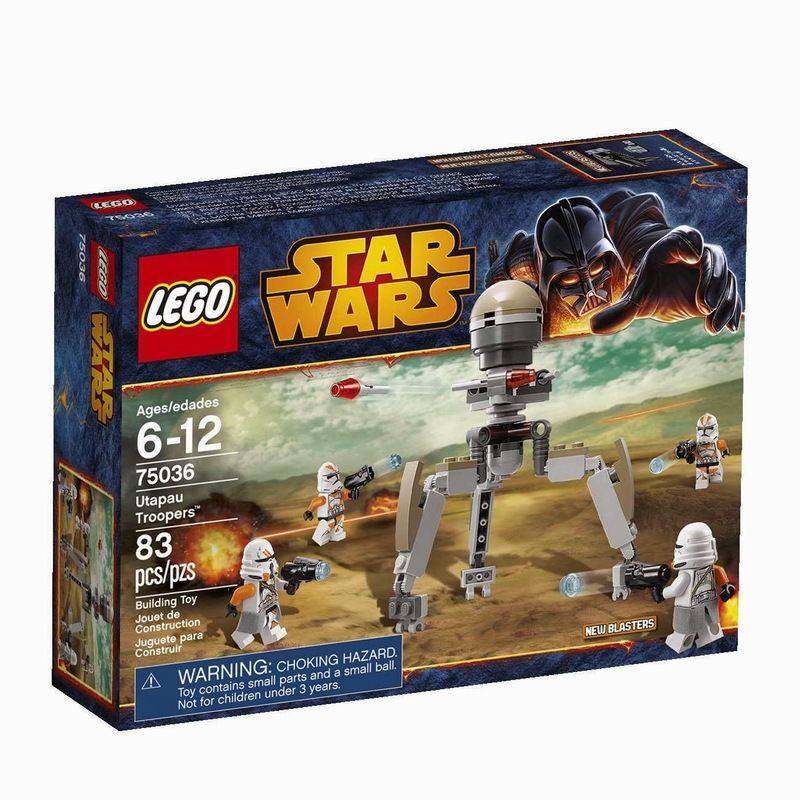 the droid has a rotatable head, movable legs and 3 flick missiles. 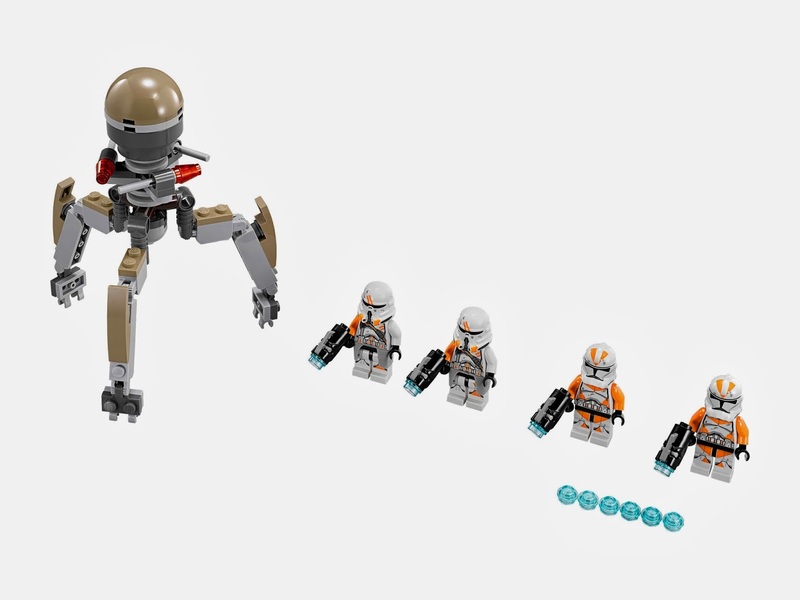 also included 4 new fireable blasters. 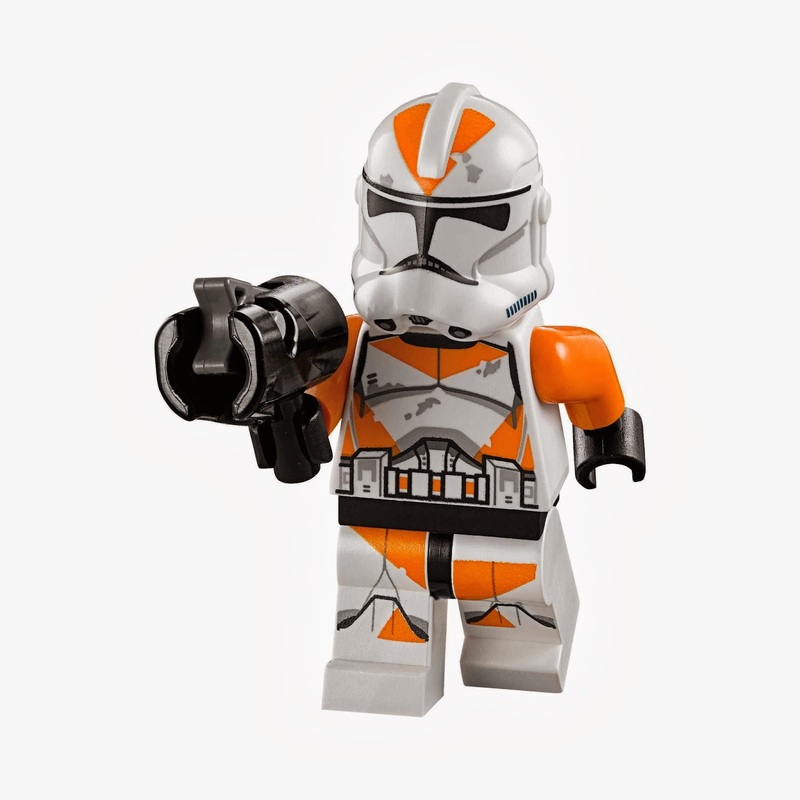 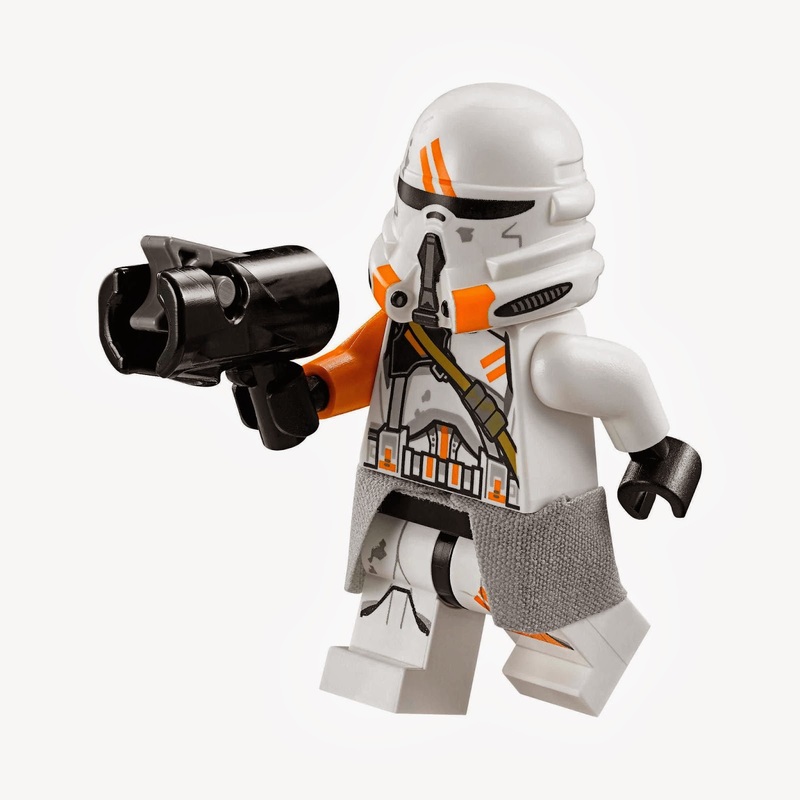 minifigs included 2 212th battalion clone trooper minifigs and 2 airborne clone trooper minifigs.